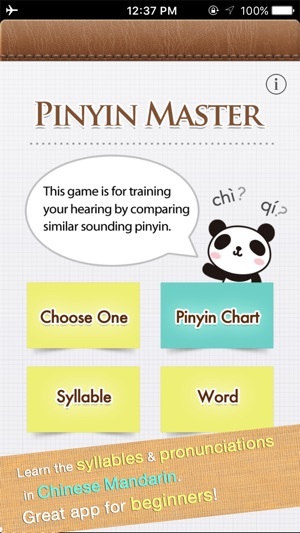 This game helps you improve the pronunciation of pinyin by comparing similar sounds which are easily mistaken. 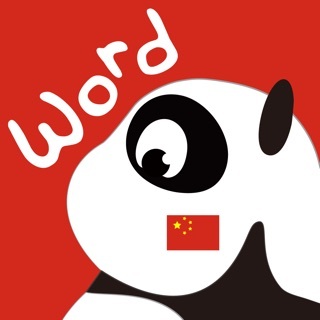 While solving questions in the form of quizzes, your ear will gradually be trained and you could easily start recognizing Chinese pronunciation. 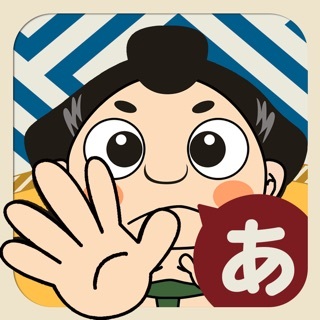 ・I'm learning Chinese, so I want to try using it! 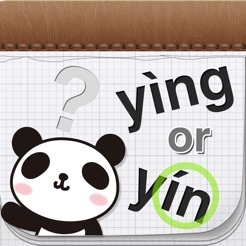 ・I'd like to eliminate my bad Chinese pronunciation of pinyin. 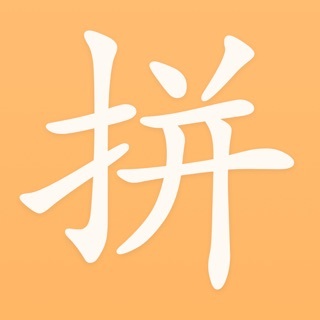 ・I can read chinese but not good at listening. ・They can't understand what I say in Chinese. 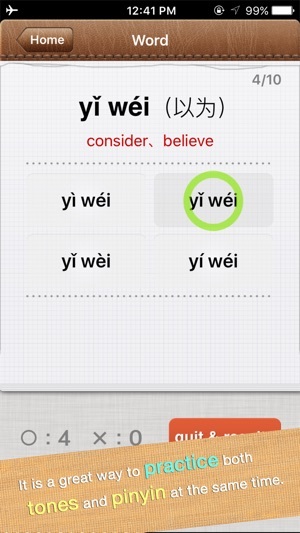 · Choose the correct pinyin pronunciation after listening to the woman's voice. 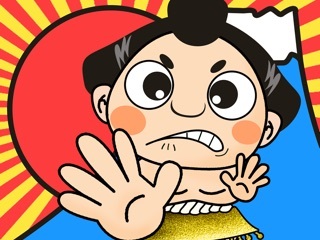 · You will know whether your choice is correct or incorrect depending on the sound, "ding dong!" or "buzz!". · The following question will appear automatically after a little while. · Please answer one after the other. At the end of 10 questions, you will see the results page. 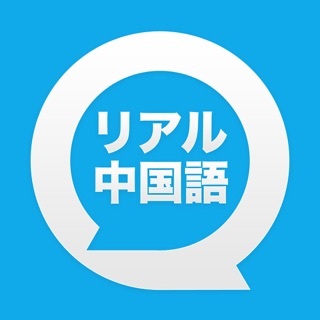 · If you want to see the results while still answering the quiz, please press the button "quit & results". 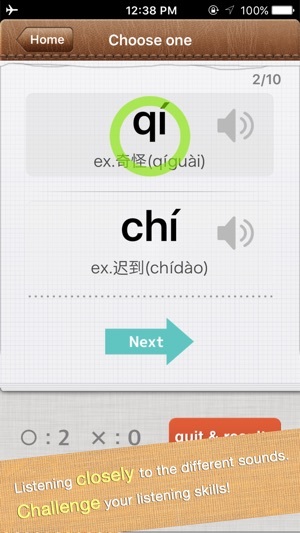 · You will be able to check the "Pinyin Chart" used in Chinese textbooks. 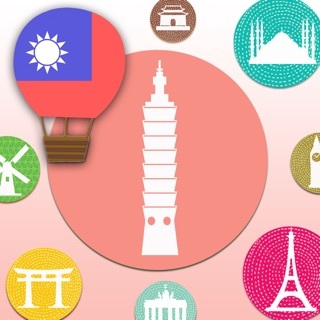 · You should swipe the screen to the right to be able to see the hidden part of chart. · The lower half part of the screen is displayed if you press the arrow button located in the upper right corner. 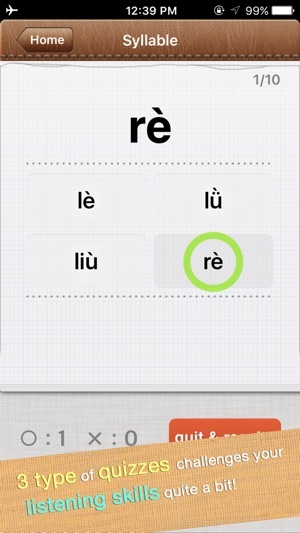 · The four tones will pop up when you press each blue syllable. 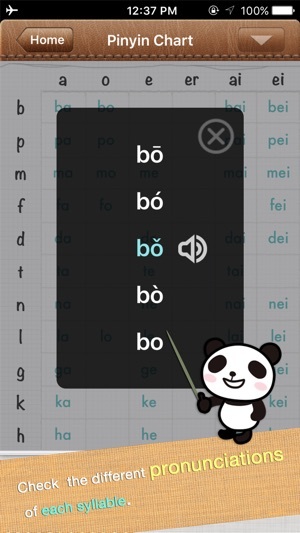 · You can hear the pronunciation by pressing the pinyin you want to hear. Improved the result screen of the game. 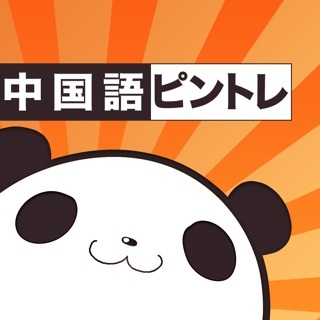 I'm not sure how this app showed up on my phone - I think my kids downloaded it for me. But from the moment I started playing with it I was hooked. It allows me to improve my listening skills as well as speaking as I repeat after the recording to solidify the correct way to pronounce words. It also immediately showed me that I've been pronouncing the "ing" sound incorrectly and this many common words have been subtly off which causes confusion when I try to have a conversation. My only wish is that there were not words and maybe even some everyday sentences you could learn. I'd be willing to pay for this upgraded version!